The standard deduction for the 2017 tax year will be $6,350 for single taxpayers and $12,700 for married filing joint taxpayers. Under the President’s plan, these standard deduction amounts double, which would benefit taxpayers who do not itemize. The President’s tax reform outline eliminates most of the itemized deductions you’ll find on Schedule A (IMAGE). Taxpayers would no longer be able to deduct property taxes, state and local taxes, sales taxes, gambling losses, and moving expenses. The plan does allow for taxpayers to deduct mortgage interest and charitable contributions. The Administration’s tax plan reduces the corporate tax rate from 35% to 15%. This rate change would not only apply to large, multi-national corporations; it’ll also apply to small business owners with income from pass-through entities (partnerships and S Corporations) and sole proprietorships. Currently, businesses can elect to offset up to $500,000 of taxable business income by deducting up to $500,000 of the cost of certain qualified property acquisitions made during the year. Trump’s plan proposes to double the deduction limit to $1,000,000. The President wants to eliminate the federal estate tax. You may remember that the estate tax was eliminated in 2010, but only for a year. 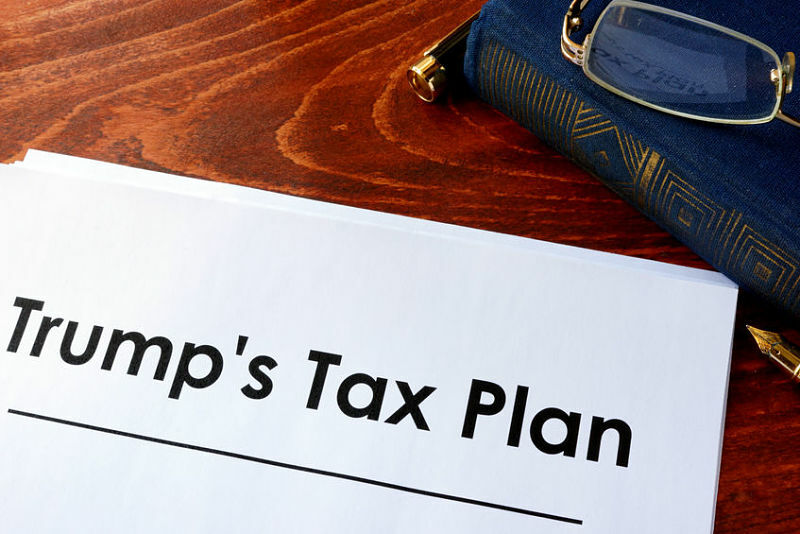 Under Trump’s plan, the alternative minimum tax would be completely eliminated in hopes to simplify the tax system. AMT is a tax in addition to the regular income tax and it usually affects well-off households, but not necessarily those with the highest income. AMT is most likely to affect taxpayers with large families, those who are married, and those living in high-tax states. Trump’s proposal also eliminates the 3.8% net investment income tax. This tax affects higher income taxpayers by tacking on an additional tax on investment income, (capital gains, interest and dividends). This tax was created to help cover the cost of the Affordable Care Act. How does this proposal impact you? In reality, it has no impact on anyone yet. The tax reform plan hasn’t been passed by either congressional chamber. The Administration’s outline gives no information on how the proposed deductions will be offset with different revenue-generating proposals, although the Administration anticipates that lower tax rates will provide incentives positively impacting tax revenue. Think of it as government going on sale! The Administration’s proposal will increase economic growth. The Tax Policy Center estimates that Trump’s plan will add $53 billion in revenue in its first year of implementation. The Administration believes that the plan’s growth potential would be able to replace any lost revenue from the many tax cuts. To really learn how this will impact you, we’ll have to wait and see what changes are made to the plan. Further, we’ll have to see if the Democrats and Republicans in Congress are willing to come to any agreement on tax reform this year (whether it’s the Trump Administration’s plan or some other plan that can pass the House and the Senate).